A monthly non-denominational Welsh-language periodical intended for the children of the Welsh Sunday schools in America. 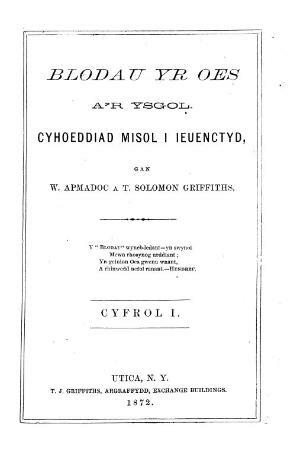 Until December 1874 the periodical was jointly edited by William ap Madoc and T. Solomon Griffiths who were succeded by the Calvinist Methodist minister, Morgan Albert Ellis (1832-1901) and the Congregationalist minister and eisteddfodwr Thomas Edwards (Cynonfardd, 1848-1927), who also served as joint-editors. Associated titles: Yr Ysgol (1869-1870).